A newly detected football field-sized asteroid, designated 2017 RW1, is slated to miss our planet on Monday, September 25, 2017. The space rock, estimated to be 110–361 feet (34–110 meters) in diameter, is expected to fly by Earth at a distance of approximately 10.9 lunar distances (LD), or 4.19 million kilometers. The Apollo-type 2017 RW1 asteroid was first spotted on September 12, 2017, by astronomers using the Pan-STARRS 1 (PS1) telescope at the summit of Haleakala on the Hawaiian island of Maui. The Panoramic Survey Telescope and Rapid Response System (Pan-STARRS) is an astronomical survey consisting of astronomical cameras, telescopes, and a computing facility, surveying the sky for moving objects on a continual basis. Astronomers reveal that 2017 RW1 has an absolute magnitude of 23.7. 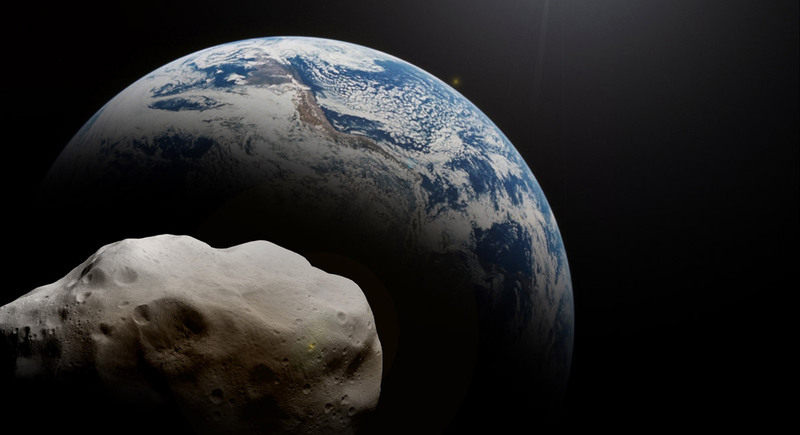 The asteroid will fly by Earth at exactly 13:29 UTC, with a velocity of about 12.68 km/s. The object orbits the Sun once every 2.1 years at a distance of approximately 1.64 AU – an astronomical unit (AU) is roughly equal to the Sun-Earth distance of 93 million miles (150 million kilometers). Besides 2017 RW1, four other smaller asteroids are also expected to pass by our planet on September 25, namely 2017 RW2, 2017 RO16, 2017 SF2, and 2017 SP10. 2017 RW2 has a diameter between 16 and 52 meters, and it will miss the Earth at a distance of about 15 LD. With the size of approximately 10 meters, 2017 RO16 is the smallest object of the group of asteroids swooshing by the planet on Monday and will come as close as about 4.8 LD. When it comes to 2017 SF2, this near-Earth object (NEO) is 27–86 meters wide and will pass at a relatively large distance of 22.6 LD. Finally, 2017 SP10, which is estimated to be about 30 meters in size, will fly by Earth at a distance of 12.1 LD. To date, astronomers have discovered 16,689 NEOs. Only this month, 79 such objects were detected.